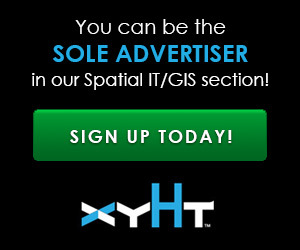 New codes aim to bring billions of people into the geospatial market. When we mail a letter to an address in an industrialized country or navigate to that location, we rely, without giving it much thought, on a centuries-old system of street names and numbers, augmented in the case of mail by the later invention of postal codes. However, about four billion people on Earth—most of them in India and Africa—do not have an address. To find them, a letter carrier or a visitor must follow such directions as “Go to the town square, go five streets to the south, then take the third side street on the right. Samir lives next to the green house.” Often, such directions are relative to landmarks that have no addresses themselves, may change over time, and are seldom related to a visitor’s direction of travel. The vast number of homes and businesses without a street address poses many broad challenges, and specifically to the continued expansion of the market for vehicle navigation and location-based services. To overcome these obstacles to navigation, in recent years systems have been developed that convert geographic coordinates to more user-friendly alternatives, including Mapcode, what3words, the Natural Area Coding System, and UBI. When searching for a street address on Mapcode’s interactive map, it returns a short alphanumeric code (here, 8WS.JQS for the headquarters for Harpers Ferry National Historic Park) and a QR code. Dutch mapping and navigation company TomTom developed Mapcode, a free public reference standard that converts a location’s lat/long to a code, usually consisting of between four and seven letters and digits, separated by a dot. It creates a grid accurate to within five square meters anywhere on the Earth. More densely populated areas are identified with shorter codes. For example, half the population of The Netherlands can be found using five-letter codes and a significant percentage of it using only four-letter codes. The codes are designed to be short so that they are easy to memorize and communicate; easily recognizable, unambiguous, and clearly distinguishable from other codes; independent of local map data, which may be unavailable, incorrect, or out of date; sufficiently precise for most practical purposes; usable in every country, language, and culture; free, non-proprietary, and unrestricted; widely supported with free software; and adopted by mapping companies and websites and by manufacturers of navigation systems. The other obstacle to the system’s widespread adoption is lack of funds after its initial endowment by TomTom runs out in a few years. “There are costs involved in evangelizing Mapcode,” Shienmar points out. The foundation might generate some revenue by hosting user conferences. Lack of funds, however, does not affect the longevity of the system, which requires only minimal maintenance. To maintain Mapcode’s integrity, the Mapcode Foundation reserves the exclusive right to make changes to its data table and algorithms, even though they are distributed freely. The foundation is in discussion with the International Organization for Standardization (ISO) for Mapcode to be recognized as an ISO standard. Using geographic coordinates to unambiguously identify, say, the front door of a home, is technically feasible. Coordinates use a grid system that is free, independent of other boundaries, does not require a database, and, in the case of geographic coordinates and UTM coordinates, covers the entire planet. Coordinates do pose several practical problems, though. First, using them to locate addresses requires a GNSS receiver with differential corrections or access to a digital map. Second, it requires agreement on which datum to use. Third, in a densely populated area, sufficiently precise coordinates would require users to remember and communicate 14 digits, such as 22.91694, 43.20222 for a shack in a favela (slum) in Rio de Janeiro. Addresses, where they exist, are easier to use than coordinates. Postal codes are assigned to areas by postal authorities and stored in databases that match each address or address range to a code; they follow in part pre-existing jurisdictional boundaries and do not cross national borders. However, they are not sufficiently precise for many purposes. For example, the address of a park will bring you only to its main entrance, not to a particular bench. And often businesses have to pay for access to postal databases. Mapcode polygons are independent of physical and political boundaries. Shienmar hopes that knowing a location’s Mapcode will become easy as adoption grows and more people download the Mapcode application to their cell phones. Cape Town, South Africa, he says, is using Mapcode to dispatch police, ambulances, and firefighters to areas that do not have an address or where street signs have been stolen. Calcutta, India, has started to number houses using Mapcode to track from which ones children go to school; if they do not appear in school on a regular basis, case workers will go check that they are not being forced into child labor. Kenya, Nigeria, and Uganda have adopted Mapcode and the Indian government is looking at it for disaster management and response. Some governments are studying the possibility of posting Mapcodes on street lights. The South African post office is using Mapcode, and 14 national postal systems that have not yet developed a post code are likely to move straight on to Mapcode or a similar grid-based system. The foundation is talking to map makers, such as OpenStreetMap, HERE, and Esri. In general, their response is that map users have to adopt Mapcode first. “We have not yet made an attempt to talk to Google. We are waiting for more traction before we get to that point,” Shienmar says. His current focus is on promoting adoption of Mapcode in India, Africa, and Latin America. What3words, a London-based company founded in 2013, uses 57 trillion 3m by 3m squares to cover Earth’s surface and assigns to each a unique combination of three words separated by periods, such as “gazed.across.like.” No square’s address contains any words assigned to nearby squares. The entire system is 5MB, which is small enough to fit in an application that can be used offline. The system works across platforms and devices, in multiple languages, and offline. According to the company, the code is being integrated into navigation applications, car share applications, logistics systems, travel guides, and property search sites, as well as being used by couriers, taxis, and travel solutions. What3words assigns a unique combination of three words to each 3m by 3m square on Earth’s surface. “Our mission is to be the world’s address system; the universal standard for communicating location,” says the company’s website. The code, it points out, is easy to convert into a URL (on the phone), send in SMS and email messages, read from a magazine, and write down. What3words has released its system in English, French, Spanish, Portuguese, Russian, German, Turkish, and Swedish and is currently working on Italian, Greek, Arabic, Swahili, and other languages. It has taken out offensive words and homophones (e.g. sale and sail) and has shuffled all of its similar-sounding three-word locations as far away from each other as possible so that mistakes are obvious. The company recently received venture capital funding, which presumably means that it intends to monetize its product. Its system, it claims, allows all mail pieces to be automatically sorted from world level to final household mailboxes, saves users of GPS navigation systems 80% of time in inputting destinations, and eliminates errors from duplicated, outdated, missing, and non-standard addresses. UBI is a world address generator that encodes a location’s lat/long into a unique name, such as “CLARA-CARETO.” According to its website, it allows users to customize the name of a location while keeping it unique and can be used offline, while its free algorithms can be used in an application or on a website. However, the website says nothing about who created UBI, when, where, or how. Only time will tell which, if any, of these competing systems will gain widespread adoption or whether yet another universal addressing standard will emerge. As the old joke goes, the great thing about standards is that there are so many from which to choose! Resources like the one you mentioned here will be very useful for me! I’ll post a link to this page on my blog. I’m sure my visitors will find useful.